Happy Wednesday everyone! 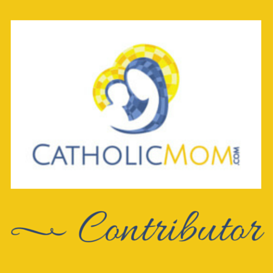 And welcome back to the Catholic Book Club. :) We're on a short run of fiction for November and December before moving back to non-fiction titles in January and February, and today I'm going to be discussing The Cana Mystery by David Beckett. I love Catholic fiction, as you all know. And I *really* enjoy mystery/suspense books, as you also know. 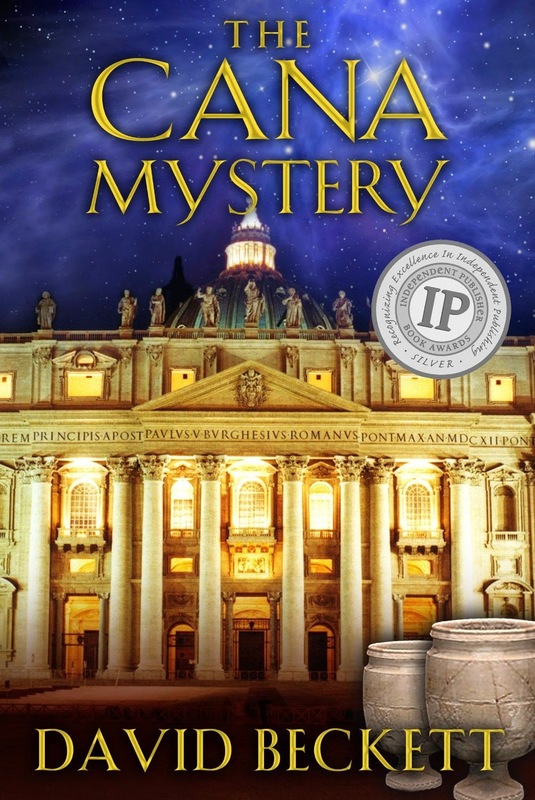 So, the category of The Cana Mystery, a Catholic suspense novel, is perfect for me. I was super excited to read it. And here is where things get different than usual. :) I read about 30% of this book (according to my Kindle) and then I stopped reading it. I'm going to be honest and say that this book just wasn't for me. The book's plot tracks a brilliant American grad student, Ava Fischer, summoned from her studies in Boston to solve an ancient puzzle. Reunited with an old flame, Ava is chased from Yemen to Egypt to Malta and, finally, to Italy. The couple must rely on their wits as they struggle to stay alive and escape a mélange of murderous terrorists, evil drug lords, and other ruthless villains. The meticulously-researched plot involves Pope Benedict's resignation and Pope Francis' election, set against a backdrop that spans centuries. Totally awesome premise, to be sure. And the book is doing stellar in Amazon Kindle sales, which is so, so wonderful for a Catholic author and publisher. It certainly has a lot of appeal. But I didn't love it. :) I'm just one person, certainly, and there are many who disagree with me, so I think you should read it to form your own opinion. And it's only $4.99 for Kindle, which is a fantastic price. So if the premise and genre are of interest to you, I'd say download and read it. Here are my thoughts: There is one thing that usually spells "death knell!" for my not liking a book, and that is that I don't bond with the main character. And the ominous sign of me not even finishing a book (a rarity, just to be clear) is that I flat out *don't like* the main character. And that happened here. Ava got on my nerves. :0 She came across as very self-centered to me, and generally grated on my patience. For instance, the narrative mentions several times that after she arrived in the Middle East, she wasn't dressed appropriately for the culture. She was wearing shorts, tank tops, that sort of thing. And Ava noted it, and seemed to want to correct that, but then didn't. That bothered me. Someone who studies ancient languages must also be sensitive to the modern cultural norms in those areas of the world. She was knowledgeable about this, but didn't seem to care enough. That just didn't win me over to her side. To be fair, this could have evolved later in the book, past the point where I stopped reading. So I can only speak to the portion of the book that I did finish. Additionally, the plot asked the reader to suspend our disbelief quite a bit. And that is always the case in books within the thriller genre, that's totally fine. But that combined with my nostril-flarey opinion of the main character were starting to add up to me not enjoying the book. And then it happened. *It* being the thing that I couldn't get past. That's why I stopped reading. So we had Ava and a male companion being chased by bad people. Good. :) But then they involve *other* people in their escape. I'm thinking: don't they realize that they are putting those people in terrible danger?! I mean, there is no mention of this, no emotional self-flagellation in the aftermath of this. I know we're suspending our disbelief about certain things, but this struck me as a huge gap in character development that they seemed utterly clueless to this. And then, predictably, terrible things that I knew would happen, happened. They involved torture. And they involved children. That's what *it* is. I know this is fiction, it's not real. But we all know that there are actual, real life things happening right now just like this. And reading this book brought those to mind. And as a parent, even in fiction form, I can't read about it. I can't. Or maybe I should say that I won't. It physically hurts me inside to read things like this. I can't get past it. I couldn't continue reading the book. But I *know* there must be other strong opinions out there on this book, both positive and negative, and I hope that you'll chime in! I know Shelly mentioned reading this book, so Shelly please leave your thoughts! To be sure, any book that evokes such a passionate response from readers, even in a way the author doesn't necessarily intend, is well worth discussing. I've been involved in in-person book clubs in the past, and during the best meetings we ever had this was in fact the case. In many ways, the worst thing you can say about a book is that it is totally unmemorable to you. If you've read this book, whether you agree or disagree with me, please leave a comment! Ok everyone, a few quick housekeeping items: next month's book club selection is Advent of a Mystery, a light, seasonal suspense title set in an English village, following the adventures of a vicar's wife. I just started reading this, and it's darling so far. This book is out-of-print now, but it is available from the Amazon Marketplace for a penny a copy, plus shipping, if you'd like to join in. The review day in December is always a little earlier to accommodate Christmas, so we'll be discussing this book on 12/17. Also, happy Thanksgiving everyone! I won't be blogging the rest of the week, but I'll chat with you all again on Monday to talk about the First Sunday of Advent, *squeals*! I also stopped reading it. I am glad that someone else felt a similar way; I am so excited to read Advent of a Mystery. I am a huge fan of Christie, so I am hoping that it will be a winner. I look forward to the discussion! Thank you Ashley! I appreciate your comments, and yes, I'm glad that I'm not alone! So glad that you're joining me in reading "Advent of a Mystery"! I came across "Advent of a Mystery" re-published as Candle for a Corpse (http://www.amazon.com/Candle-Corpse-Berdie-Elliott-Mystery/dp/1611162645/ref=sr_1_3?s=books&ie=UTF8&qid=1418703771&sr=1-3&keywords=marilyn+leach). Leach has alsoublished a new novel in the Berdie Elliot mysteries. oohhhh, thank you! I will mention it in the review post! This is readily available in print and 99 cents for Kindle! Awesome find, thank you again! Hm... I guess I am much less discerning in my fiction, because while I noted all that you had trouble with, it didn't stop me from finishing the book. *shrugs shoulders* And just to reinforce your decision - that wasn't the only time that they used others to help their escape and put those others in mortal danger. It wasn't a particularly memorable book, but I did enjoy the escapism and Indiana-Jones quality of the hunt. I'd have to go back and read a few pages to remember other details. Sorry you didn't like it. Have you tried St. Peter's Bones yet? Thanks so much for commenting Shelly! I'm glad to know that I did the right thing (for me) in stopping where I did, since it continued in the same vein. I do like exciting plotlines such as this, so I understand what you're saying. I have not tried "St. Peter's Bones" but I will check it out! I also read it and finished it. Overall I would say it is unmemorable and is not one I will be keeping. I didn't like the epilogue. It was one of pieces set in the past and I thought the book should have just finished with the end of the story of the main characters.